Our client had a very large patio area of slabs that were loose in places and also raised causing a tripping hazard. 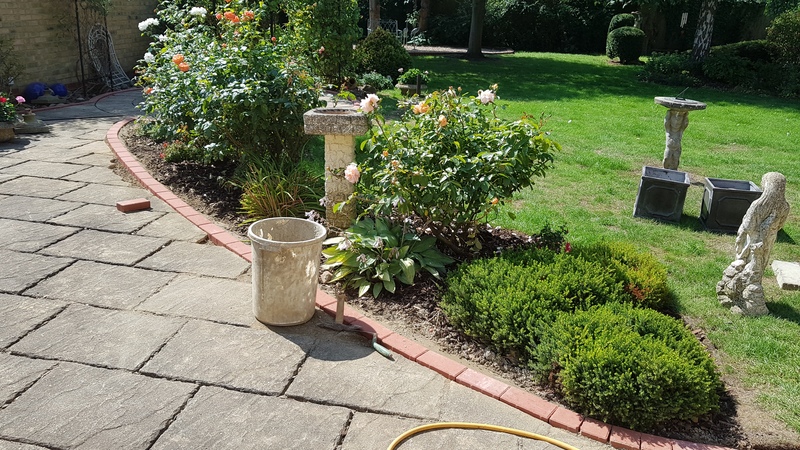 They had also faded and were suffering with weeds and moss, generally requiring a lot of maintenance our client didn’t have time for. 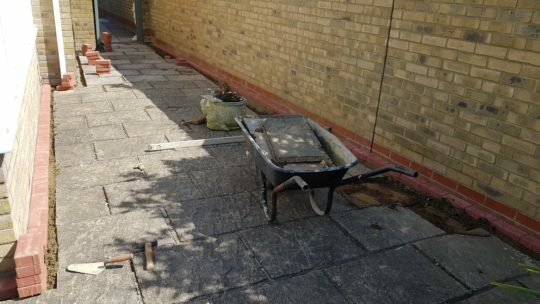 We excavated areas that were too damaged, loose or sitting too high and concreted. 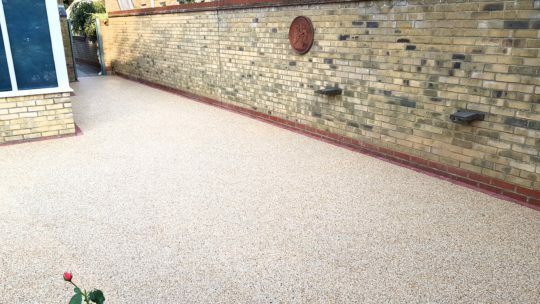 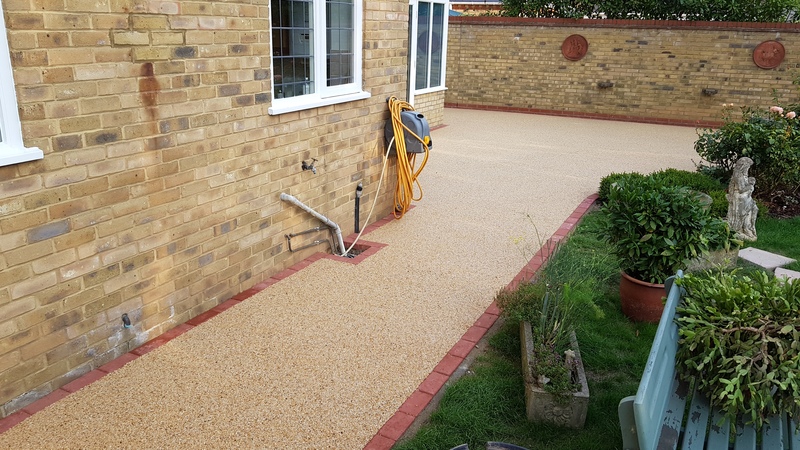 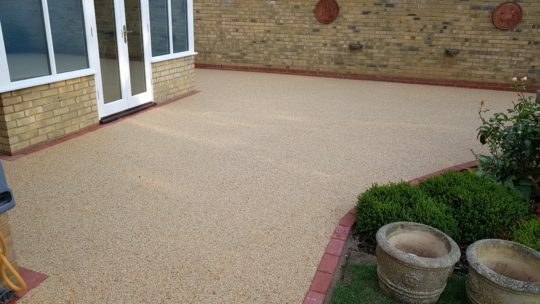 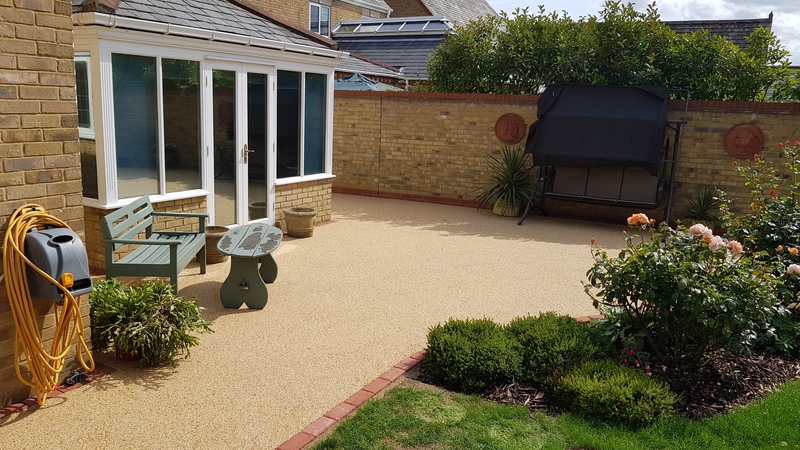 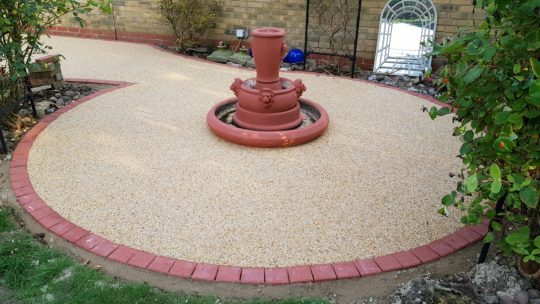 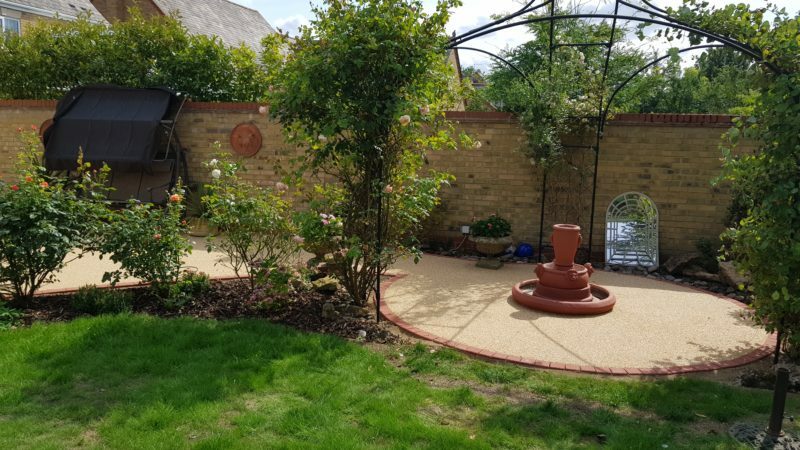 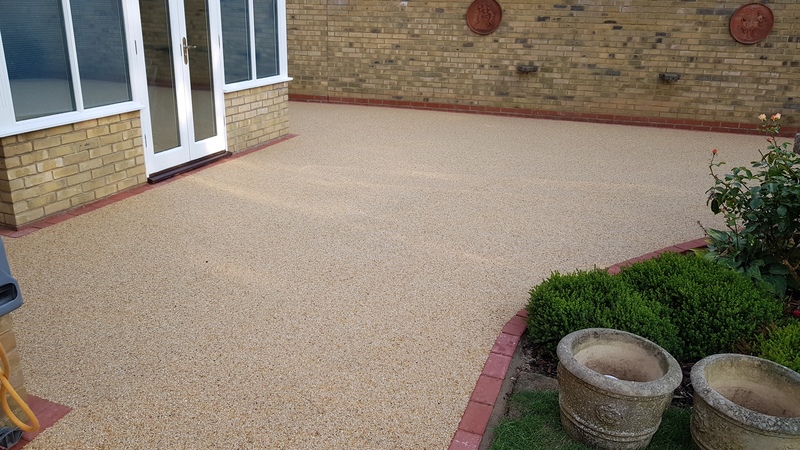 New red edging blocks were installed and the entire area of 90sqm was hand trowelled in Autumn Quartz aggregate bound in UVR resin. 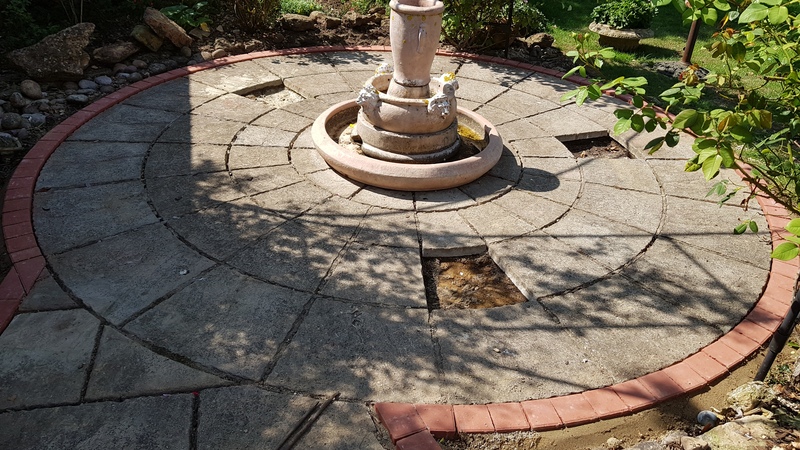 We painted the previous water feature the same colour as the blocks which is now going to be used as a planter.